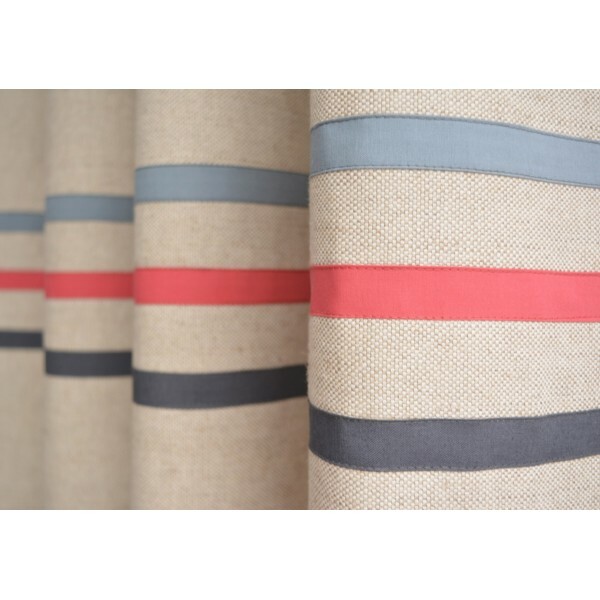 Made to measure linen blend curtains with three stripes in organic cotton in red, blue and grey. (Two panels). As the blue, green and brown is proving to be a very popular design, we have created another version of a more boy-orientated curtains. 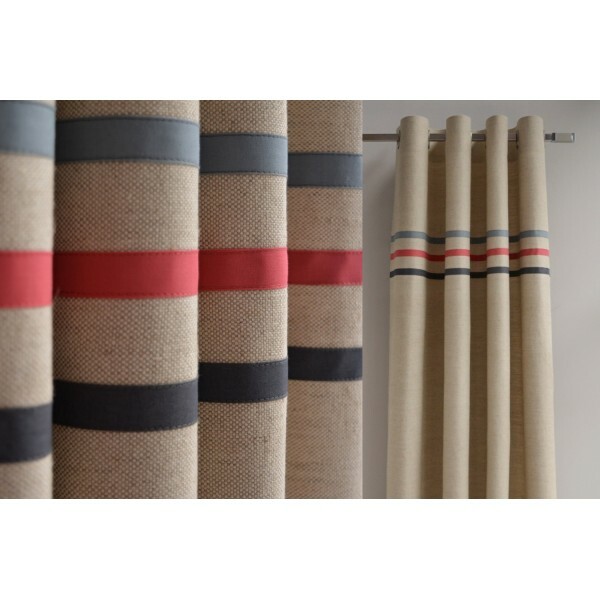 Combining this time eye-catching red with light grey and washed blue for a modern, clean look. 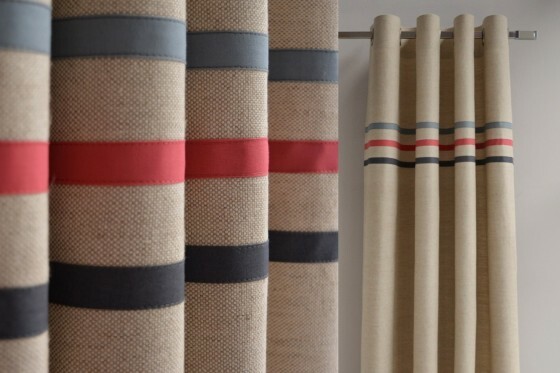 These curtains have been made using a linen blend fabric. 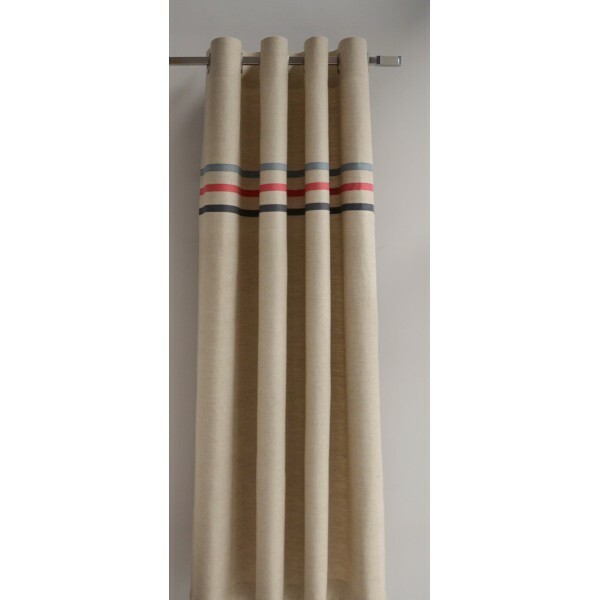 It has a great, chunkier feel than pure linen so works really well both as an unlined or lined version. 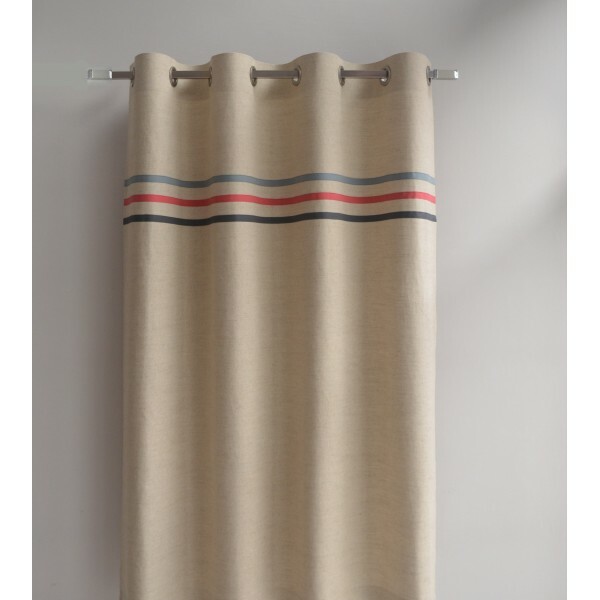 We can recreate this design using pure linen variety, which is perfect if you are looking for luxuriously soft and super natural look and feel. The stripe underneath the frill can be customised using a different colour. Please see the colours displayed next the images. Please contact us if you cannot see a colour you would like as we may be able to assist. Tiebacks are not included in the price. Matching set is available to order (£15 per pair). Eyelet header. 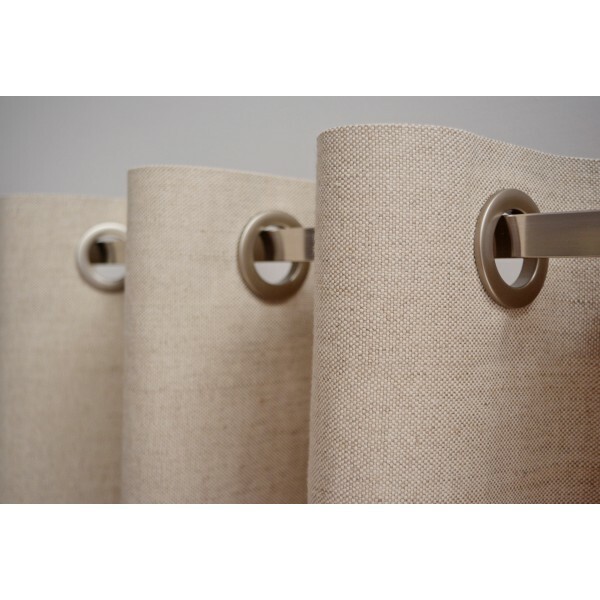 Eyelets suitable for curtain poles up to 1.5" (3.8cm) diameter. Plastic grommets included . You can upgrade to premium quality, rust-free brass-based for an additional cost of £8 per panel (£16.00 for a set). Others header types: tab top, French pleat, pencil pleat and others available. Lining These curtains are made of densely woven farbic and are not lined.